To the North, South, East and West, there is no Wimpy with the reputation of the Bergview Wimpy franchise. The Manager, Ashton West, continues to maintain the extraordinary levels of service and hospitality for which this franchise is nationally famous. Other franchises in the “Sparkles Restaurants” chain clubbed in to make the event a sparkling success. The Mugg & Bean is temporarily closed for renovations, yet Lucia was on hand to treat the golfers with M&B delicacies. Debonairs also lent a large hand, so all in all, it was a Famous Brands Bergview Bonanza from Breakfast to Dinner. The golf course is lush and playing to its maximum length, advantageous to the big hitters! One doesn’t find bigger hitters than the trio of Schalk Maree, Frits Valks and Pieter Cronje, and the results reflected this muscular match-up. After the first 18 holes, Pieter held a 3 shot advantage over Frits, after scoring a 74 gross. Pieter flexed his athletic frame in the afternoon to score a sensational 69 gross, to complete the 36 holes at one under par. Frits ended 10 shots behind to claim the runner-up spot. 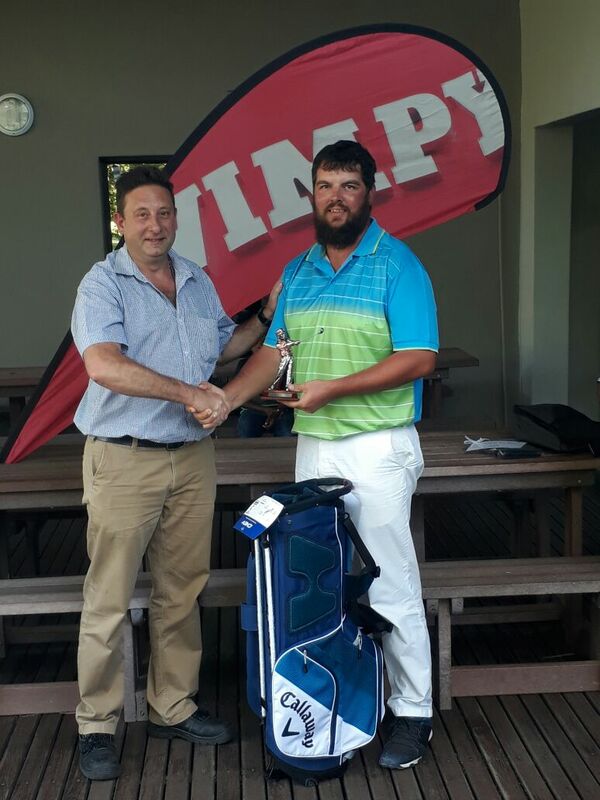 This was Pieter’s third Wimpy Club Championship title, and there will be more to come. Divisional best net winners were as follows: A Division - Pieter Cronje, B Division - Jan de Jager, and C Division - Frans Badenhorst. The All day best nett winner was Tienie Els, while Frits Valks was the runner-up. The Golf Club extends its sincere thanks and appreciation to Mark Pringle for the ongoing sponsorship of its most important closed tournament.